Lori Forlano is a Managing Director, the General Counsel, and the Chief Administrative Officer at Lightyear Capital. Ms. Forlano manages the Finance, Legal, and Operations team at Lightyear and is responsible for the day-to-day operations of Lightyear and the management of its investment funds, including business and legal issues, financial reporting, portfolio company monitoring, and internal issues. Prior to joining Lightyear in 2005, Ms. Forlano worked at Context Capital Management, a convertible arbitrage hedge fund, where she was a Managing Director of Business and Legal Affairs. Previously, Ms. Forlano was an attorney for private equity and hedge funds at Morgan Stanley. 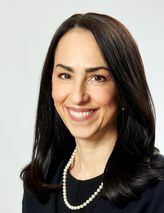 Prior to working at Morgan Stanley, Ms. Forlano was an Associate in the mergers and acquisitions department at Paul, Weiss, Rifkind, Wharton & Garrison LLP. Ms. Forlano holds a B.A. in English from Dartmouth College, and a J.D. from New York University School of Law, where she was a member of the Law Review.